· Heavy duty adjustable legs (Kason #165800BN5T). 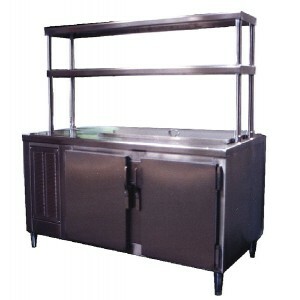 · Top Openings for food containers. · Two-tier over-shelf available as options. 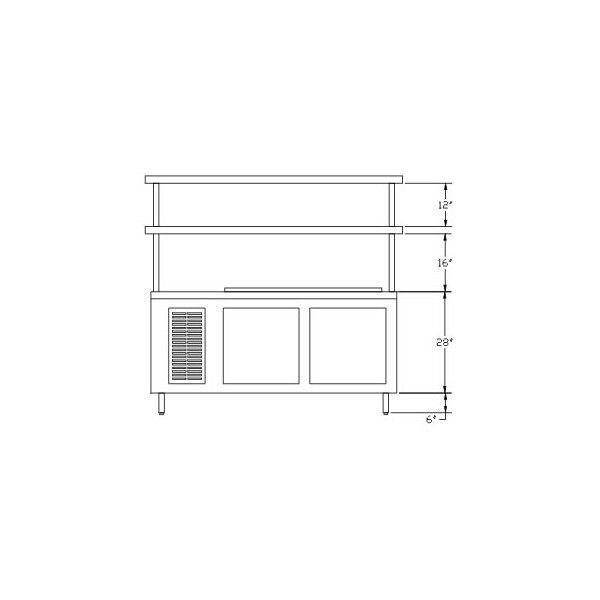 · Cabinet unit complete equipped with condensing unit, compressor and blower. · Standard features available in Self-contained or remote control refrigeration.